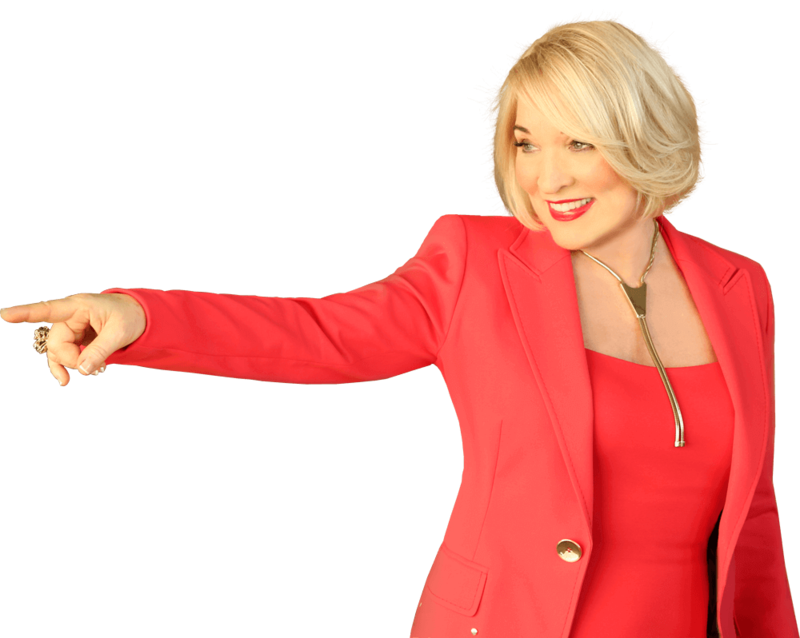 ﻿ Getting Smarter with Age | Christiane Northrup, M.D. Let me start by saying that most people simply accept the notion that their brains (and memories) will shrink with age. In fact, MRI scans show that an area of the brain called the hippocampus (our memory center) often does, in fact, get smaller with age. But hippocampal and memory shrinkage are NOT inevitable. Researchers have found that new growth in brain cells (called neurogenesis) is enhanced under the influence of a protein known as BDNF, which is produced in animals when they get aerobic exercise. We now have solid evidence that the same thing happens in humans. And tests for memory function. Major Finding #1: The stretching group had a DECLINE in all 3 areas studied. Major Finding #2: The aerobic group showed improvement in memory, increases in the size of their hippocampus, and increases in their blood levels of BDNF. Get 20 minutes of aerobic exercise six times per week. Shoot for a heart rate of 180 minus your age (this is really easy). So if you are fifty, your target heart rate for aerobic exercise is 130 heart beats per minute. DHA (an omega-3 fat) has been shown to turn on BDNF production. So take a supplement or eat foods which contain this essential fat. Finally, watch out for those cultural portals! They don’t have to be your truth. It’s important to find out what you believe about mental acuity and whether it wanes as you grow older. Do you think it is inevitable to decline with age? If not, what do YOU do to keep your mind sharp? I would love to read your suggestions, so please leave a comment about your experiences. p.s. If you liked this video please share it! As the years fly by, it’s easy to focus on the less-than-desirable aspects of your aging physique. But did you know that, in some ways, your body actually gets better with age? In fact, doctors, researchers and health experts like everydayhealth.com are discovering that the natural aging process has certifiable health benefits, ranging from less sensitive teeth to longer-lasting orgasms. The changes aren’t dramatic and they certainly won’t turn back the hands of time, but even small physiological improvements can make a big difference when it comes to feeling younger and enjoying life more. Does this mean that if I listen to podcasts and TEDtalks while I’m training (instead of music, for example), I’m helping maintain my hippocampus? I have recently qualified as a Health and Wellness Coach( my 3rd career change) and I have been looking for my niche. Recently I found you and have bought 2 of your books and listen daily to your video clips .I feel like you have changed my life. I now know the direction I want to take my coaching practice, I want to talk to women about Menopause. I love what you say and you have totally changed my attitude towards my Perimenopausal state. Your message is so powerful that I want to share it with women as most women I know feel that menopause is the end of the road for them. Thank you for sharing your wisdom and knowledge and I am going to endeavour to spread your Ageless Goddess concept . I just started reading your posts very recently. This past November I turned 60 years old. Yes my body hurts a little bit more but three years ago I applied to college to finally get my BFA and I am now finishing my Junior year at Pratt Institute in Brooklyn. I’m not originally from NY either so a double challenge and I am loving it. I have not felt this young mentally in eons. It’s working for me right now. You came into my life at a time when I so needed what you had to share. I continue to learn from each of your contributions. I just love your sense of humour! You have enriched informed my life beyond my wildest dreams. I’m reading Ageless Goddess and loving it. To day I got your Women’s Bodies Women’s Wisdom CD in the post from the Book Depository. I’m looking forward to listening to it while driving. You are so right in saying aerobic exercise helps the ageing brain. It improves the flow of blood and oxygen to all organs including the brain. Also we must remember to keep hydrated as dehydration can cause confusion in the elderly. Also learn a new language. The brain thrives on the challenge! Wonderful video. You are always spot on! I don’t believe in aging…and most think that I’m at least 20 years younger. My partner and I dance – western, swing, ballroom, Latin American, whatever and have a blast! I am so inspired by you! What quantity of DHA should we take each day? I am really enjoying all of your videos. Do you have any comments or cures for staggering gait due to back surgery please. Thanks kindly and please keep the videos coming as we age, we definetly require help. Most of us do not talk about our personal issues. Check out Foundation Training – find a certified practitioner to work with. Christiane talks about this. I’m an instructor and movement therapist and know the benefits. You won’t be disappointed. Can you point me to the journal or evidence for taking DHA? I know years ago it was recommended for brain health but later rebuked. I take an Omega 3 supplement with both EPA and DHA. But if this is true, I’d like to know how much DHA I should be taking. Thank you! I truly enjoy your videos and newsletter. I want to thank you for sharing all this knowledge and your heart with us. I always say that your best gift is not your gift. It is your heart! And you are proof of that. I am a breast cancer survivor, 11 yrs out. It was through that ordeal that I redesigned my life, embracing a healthy lifestyle which brings me joy and fulfillment. For the last 4 yrs I have been working with women helping, inspiring and motivating them to go from crisis to stability, getting into a healthy lifestyle that promotes balance, joy and peace. I facilitate a support group for women cancer survivors and I have been talking about and bringing your voice and message to them. Once again, thank you so much for providing such an inspiration. By the way, I love tango too! I am from Venezuela and music and dancing have been part of my upbringing! I don’t do aerobics bc my heart rate runs from 235 to 35 but has never effected anything I do. I do however state on a daily bases that I am in perfect health. Per my dr I am and I take no meds. Have low b/p, eat whatever , 5′ 2 , wt 117 and 63 yrs old. I feel great. I feel you are what you think. This is just wonderful………all your support and information. Thank You!! I am so happy to read all of this from a physician. enjoy my life, wine, chocolate, and do not take meds. I enjoy the gym, shore, social activities, family and friends. Thank you for teaching the public this important information. Based on my lifetime results I know it works….S. So wonderful to hear this! I’m feeling very inspired. Thank you. First, thank you for all you do and share. My husband and I are wondering: how long should the aerobic exercising last each time? We have a rebounder and are just doing 10-15 minutes. Is this enough? Thanks! i have had a stroke 2 years ago, at 47. My left side was paralyzed and healed partially after 9 months of intensive rehab. Now i have fysiofitness 3 times per week, plus swimming 1 time per week. I have been told to take it down a notch as I was losing strength in my legs. So I am a bit worried that I don’t get to the 130 heartbeats per minute as much as you recommend. Any ideas? Just found your site. Thank you. It is wonderful. I am 57 and teach high school. I believe my memory is just as sharp as that of my adolescent students, and I have so much more to remember than they. I tell them if I have a senior moment, it’s ok because they have their freshmen and sophomore moments when they are daydreaming in class lost in a teenage fantasy. My Dad was diagnosed with Parkinson’s at 58. He always exercised ate healthy and kept up with the latest info on vitamins and supplements that might be helpful. He was walking daily rain or shine. He hung upside down on his inversion machine among many other thing to keep his brain working. He lived to be one week shy of 80! He was never bedridden or in a wheelchair. He used a walker and he fell quite often. But he kept moving even when you could tell it was all he could do to make his brain tell his feet to move. But the dr. Said it was amazing! He had never seen anyone keep going that long with PD! Keep your body moving for your brain is the message! Your Dad had exactly the right attitude– right up til the end. FAR more important than a “diagnosis” or prognosis! What we believe from doctors, others, and tell ourselves becomes our reality. wow! So happy to watch your videos Christine and hear what you have to say! I am in full agreement that we can impact how we age by how we think and act! I recently had my hormones tested and the doc said my DHEA levels were high and mentioned that I would ‘age’ well. After listening to your first talk now I understand why. I have been dancing and teaching Wu Tao Dance for 15 years. It uses the body as a tool to realign mind and heart with correct flow of life force energy. ( I developed Wu Tao 15 years ago through my research and practice of dance and Chinese medicine). But that is not important. What is important is having the tools to reframe the mind which creates health in body and spirit. Energy , joy, peace and balance are the natural outcome. I feel very blessed and lucky to feel so young vibrant and happy in my life and you are absolutely right to say it all starts in the mind! Thanks for your wonderful work. I will share it on! YOu’ve got it RIGHT. It is the MOVEMENt and the SPIRIT that create hormonal balance, not the other way around!! I am 68 and have always been very active. I have two vertabral compressions ( t10 and t8) one from lifting a. very heavy object and the other from shoveling very heavy snow. This happened two years ago and one year ago respectively. I found out I have osteoporosis–3.5 in the spine. I walk a half hr. every day in good weather but not fast. In winter I’m on the treadmill 20mins , again , not fast. I know I need to stimulate my bones. What do you suggest. Thank you. Contact Lani Simpson, DC http://www.lanisimpson.com And read her book!! All the answers are in there! I was diagnosed with osteopenia then osteoporosis and had high blood pressure even though I exercised. Adding vitamin D (dr recommended) and fast intervals on the elliptical turned both around. Changed bone density and off BP meds.! That was my goal because genetics favored bone deterioration and strokes. Yay!! Aerobic exercise at 54 is:- surfing when there’s waves, bike riding for at least 30 minutes if no waves and physical activity on our property (always something to be done!) and being interested in other people and a sincere curiosity about life! my mother is 91, and she is complete lost, she has no memory about anything, she hasn’t got any willpower, and it’s very difficult to see her in that way (sad, angry) so I care myself with healthy food, excersice, etc everything I can do!!! just learned of Dr Northrop. i am not doing anything about my declining physical activities , and have started to think negative thoughts concerning my condition..my daughter-inlaw told me today about the great info Dr. shares with us ladies,. I have signed up for the Newsletters and look forward to learning more thru her publications. I’ve started doing Biodanza over 5 years ago to recover after knee surgery and deep depression caused by broken relationships. This regular dancing classes improved my physical shape, mental sharpness and cognitive abilities very significantly .All together it made me much healthier and happier person than I was before the injury. Dancing and aerobics are marvelous! I began teaching Zumba at 57, I strongly believe that my brain has improved because of it. My health is at it’s best and my figure is that of when I was 22, this is very true. I have so much fun, have met extraordinary people who I have helped become happier and healthier. Exercising has improved my memory and I am sharper than I was 10 years ago. I am 60 now and have so much energy. Thank you for your comments on Zumba. I am 53 and go to a Zumba class twice a week. Since starting the class I have felt so much better in so many ways. But I sometimes feel a bit out of place as I am in a class that is primarily people in their 20’s or 30’s and the instructor is also quite young! So it was inspiring to read that you are starting to teach at this age! I love the class and after stumbling on the PBS show tonite and reading everyone’s comments I am so grateful! Dr. Northrups’ show and website are of great value … Answers to my questions and concerns of aging .. Especially now that menopause has arrived at my door! Great information, good to know that walking will need to be brisk to achieve the goal. DHA, if a person is already taking a fish oil supplement that is higher in EPA for other health reasons like inflammation do you suggest added another supplement. How much DHA is suggested daily ? Thank you Dr. Northrup for lots of great inspiration. At 49, I am aware of not being at my youngest anymore. But I have decided to grow more attractive and mentally sharp within the coming decades. I have been a vegetarian for 12 years and enjoy great health. I never finished my degree in my twenties and have now enrolled at university to study for my degree alongside my fulltime job, a really satisfying step. I do regular running and yoga, a gift to myself and my body. I strongly believe that our thoughts and beliefs about growing older are far more important than our genetics. Three out of five members of my family died from cancer before I was 47. I live in the present moment as much as possible, as I also believe that living in either the past or the future in your thoughts add to the ageing process. 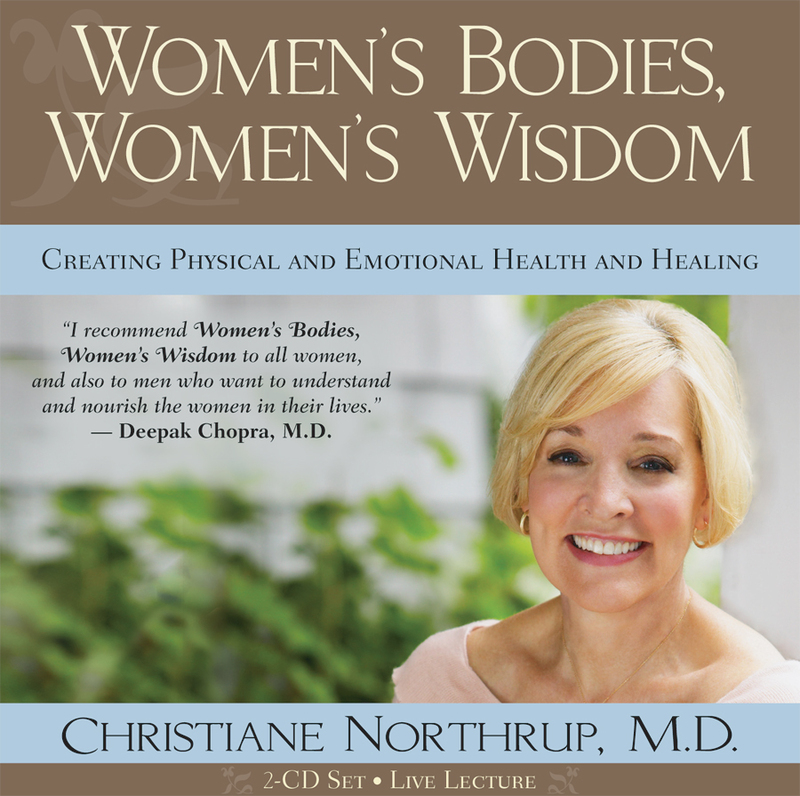 Dr. Northrup, it’s great to know that you’re so committed to the health of middle aged women. I especially like the connection you make to the “cultural portal”. I don’t believe that the story about my future is written in advance. I am grateful to you for making such a difference in my world. Thank you Dr. Northrup for this. It’s confirming my own suspicions as I”ve been adding more aerobic exercise to my week, due to hypertension and weight concerns. I’m finding that besides feeling gradually more agile, I’m experiencing less brain fog and a better mood, as well. I’ve been at this regimen for a month now. Small changes in bp. I should add, I’m also eating better – less sugar, less gluten, very limited meat, especially red meat. For now, I’m trying to increase levels of exercise, and incorporate weights. Thank you for your insights and positivity. Thank you very much for all your inspirations for women over 50s and above . Yesterday i went to the book store and bought myself the book Goddess Never Age. Cant wait to start my reading on it . I do kettlebells and walking for 20mins to keep myself fit and healthy . For my mind i have taken up an online course. Have confidence i will do great in mind and body . How do I measure the number of heartbeats per minute when I’m exercising at home? I put on music every morning and dance for half an hour, but I wonder if I’m dancing hard enough. Thank U so much for sharing that great interview with your daughter–so inspiring. Will be getting your book. I am 82 years old and do aerobic exercise five days a week for 30 minutes then during the winter, when I have a pool available, do water aerobics for 40-45 minutes three to five days week. People can’t believe me when I tell them my age. I totally agree with this article!! I am a 55 year old woman who, two years ago, started road cycling when I moved to Tucson, AZ. I now average between 125-165 miles a week. When I look around me, the group I normally ride with are, on average, 5-10 years older than I am! One gentleman is almost 80-couldn’t believe it when he told me his age. They keep me inspired to continue my fitness goals and none of them have that “I’m too old to do anything attitude!” My wish now is to get more women into the sport beyond age 50-it’s a great way to meet people and if you are a single lady you will be a minority so it could also help your social life! Yes great news about aerobic activity and dha. I do these and reading this and other news consistently helps me to increase and keep at it. I have read exercise learning and purpose are more important than crossword puzzles for example. Would be better is your control groups quantified the differences in brain size and memory between the stretching and aerobic group. Give us specific results approx. thanks for your work. I am anticipating the arrival of your “Goddesses Never Age”. I am 74 and was feeling life slipping away. It seems there is so much I haven’t done and I feel rushed to get things done because I may go tomorrow and leave everything in a mess for my sons to go through. Watched your PBS show and got encouraged to look at things from a different perspective. I bought the book on my Kindle and finished it in 2 days. I have already been living a lot of what Dr. Northrup discusses in the book. I have used Pueraria Mirifica, which Dr. Northrup sells as A-ma-ta, for 2 years. I feel fantastic. People ask me what I am doing different, because I am not like other people my age. It is possible to make a major difference in your life! I am continually told on the WiiFit that my body is in great condition. My mind is also sharp because I exercise it. I challenge myself with jigsaw puzzles, Sudoku games, crossword puzzles and logic challenges. I also meditate regularly. I especially enjoy brainwave entrainment meditations. I also seek out joy in my life. It is a great way to keep mentally, physically and spiritually healthy, no matter one’s chronological age. Great information, as always. How about a link in the article to info about aerobic exercises. Otherwise unless the reader is familiar with this type of exercise, they have to hunt and google to get that information. Might help if there was a link in the text to faciliate this. 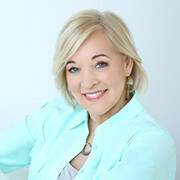 Thank you Dr. Northrup for this post and all that you are doing to be among those who are breaking through the limiting beliefs so many of us have been taught and/or developed about aging. Although I no longer feel we have to decline with age, it is sometimes easy to get pulled back into what the culture believes about it (and about health in general)… so I find it takes a lot of awareness on my part to make sure I’m not unconsciously agreeing with what I see and hear from those around me. I recently began an exercise program with a Rebounder and stationary bike, so I found your recommendation supportive and helpful. I also have a meditation practice that I have been more consistent with over the past several weeks. I do feel these two things have made a difference in my ability to focus and in my energy level overall. I went back to school about a year ago, (with classes I have found challenging) and I recently began to nurture my creativity again, both of which I feel will help keep my mind sharp as well. I am new to your newsletter, and I am looking forward to enjoying many more insightful, uplifting, and informative posts such as this one. Best wishes on all that you are doing! How realistic is it to begin an aerobic exercise program over the age of 60 when you have been essentially sedentary for many years? What about other conditions that may limit exercise (arthritis, fibromyalgia, etc.)? What qualifies as aerobic exercise? I feel I am more capable now in some areas. For example, once I did not image numbers and therefore had a problem calculating without an implement, I can now calculate fairly quickly “in my head”. I do not consider myself smarter now, but I am not less so. I agree that aerobic exercises help as do the study of languages and music (piano/theory), most intellectual activity ( lifelong learning). I also have found that all those cooked dark green leafy veggies that I used to hate, taste wonderful raw. I live life consciously and with joy. I use Luminosity (brain games) plus reading and learning new things to keep my brain sharp.